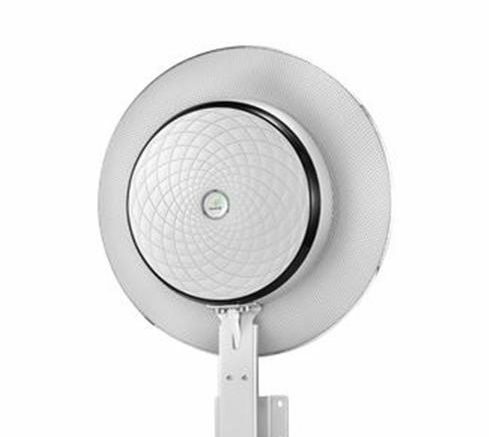 This is SureCall’s Signal Catcher antenna. It’s an admittedly pricey little piece of kit, but the promise it makes is pretty enticing — use the most powerful cell booster without getting up on the roof. Is it worth it? The real question is whether or not an indoor antenna can really outperform an outdoor one, or even take its place convincingly. I’m here to tell you, it really depends. I did some instrumented testing with a no-name booster I happened to have in the lab, comparing a properly installed roof antenna with the Signal Catcher. The lab itself isn’t a true Faraday cage but it might as well be; signals in here without a booster range from one bar to no signal at all. For those of you who like numbers, you can typically get about -106dBm from a signal meter. That is an incredibly weak signal, your typical RF remote probably puts out more. In my case I was pretty impressed. Putting the Signal Catcher up against a window gave me the same number of bars as the roof antenna (4) and with a signal meter, I got -72 from the outdoor antenna and -75 from the indoor one. (I did the tests several times, those are averages.) It’s also pretty consistent with the commonly held belief that you’ll lose 3dB by bringing any antenna indoors. The lab has a pretty good view of the sky and is in an open area, so the signal level on the roof is probably not terribly different than it is on the ground. On a commercial level booster, you can usually compensate for 3dB with adjusting power levels, so I’d score this as a win for the Signal Catcher. But… that’s only one data point. This is very much a “your mileage may vary” situation. Windows that are mirrored (common in commercial buildings), trees and other obstructions, and the amount of cable you need to run to even get to the window could limit the performance of an indoor antenna. Also, if you’re in a commercial building that’s several stories high and near other buildings, you’re definitely getting better cell signal on the roof than you are on the ground, so that could mean a 9dB or more difference between using an outdoor and an indoor antenna. Keep in mind too that with powerful boosters like these, the two antennas need to be at least 15 feet apart and maybe more… if you’re thinking this is a solution for a single office you’ll be very disappointed. If that’s the case you should be thinking of a smaller booster. It would be very nice to think that some miraculous new discovery allowed you to use an indoor antenna when you previously needed an outdoor one, but that’s not likely to happen. It’s just the laws of physics holding you back. You’ll always do worse with an indoor cell antenna, but the real question is, can your booster compensate? Luckily, the answer is “sometimes.” Take measurements of your cell signal outside and inside, and you’ll see the amount of loss you can expect when bringing your cell antenna inside. It can be a lot or a little, every situation is different.